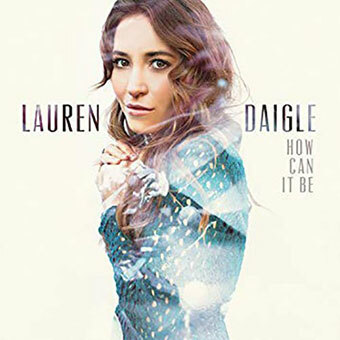 Lauren Daigle is an American contemporary Christian music singer and songwriter. After being signed to the label Centricity Music, she released her debut album, "How Can It Be", in 2015. It reached No. 1 on the Billboard Top Christian Albums chart, has been certified Platinum by the RIAA and produced three No. 1 singles on the Billboard Christian Airplay chart ("First", "Trust in You" and "O'Lord"). Since its release, the set has earned 1.2 million equivalent album units, according to Nielsen Music, and has produced three No. 1s on Billboard's Christian Airplay chart, notably spanning four calendar years: "First," which led for three weeks starting Oct. 24, 2015; "Trust in You" (April 9, 2016, nine weeks); and "O' Lord" (Feb. 3, 2018, one week). Daigle's second studio album, "Look Up Child", was released in September 2018. Bolstered by the pop crossover success of the single "You Say", it went on to debut at No. 3 on the Billboard 200 chart, becoming the highest-charting Christian album by a woman in over 20 years, and No. 1 on the Top Christian Albums chart, with 115,000 album-equivalent units sold in the first week. The album's lead single, "You Say", peaked at No. 30 on the Billboard 100 chart and has broken the record for the number of weeks at No. 1 on the Billboard Hot Christian Songs chart at 32 weeks. The album and single earned Daigle two Grammy Awards. "I want this to be such a record of joy, such a record of hope, that people experience a child likeness again. In the time of making this record, I had to remember who I was as a child. I want people to reflect on, 'The innocence of my childhood... how do I see myself through those eyes again? How do I love myself like that again? Where's that joy? Where's that hope?'" Experience the heartfelt worship Lauren Daigle offers with her first full length album. 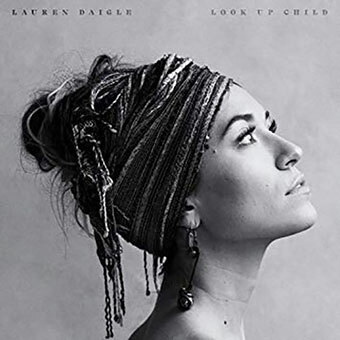 Expanding on the sound she developed with her EP of the same name, Lauren Daigle offers songs that most can relate to as well as passionate worship songs to ignite your faith. Enjoy hit songs like How Can It Be, My Revival, Power to Redeem, I Am Yours, and more!